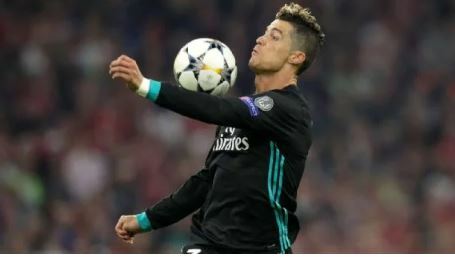 Real Madrid forward, Cristiano Ronaldo, set a record with his 96th win in the Champions League on Wednesday, as they defeated Bayern Munich 2-1 in the first leg of their semi-final clash. Ronaldo has now appeared in more games in which his team won than any other player, moving past Iker Casillas, although he saw his goal streak come to an end. The Portugal captain’s record run of 11 consecutive Champions League with a goal also came to an end – he had scored in all 10 of his previous UCL games this season. The victory saw Real become the first club to win 150 Champions League games. Ronaldo also moved level with Xavi for the second-most appearances in the competition with 151. Only former Real keeper Casillas has played in more games at 167.